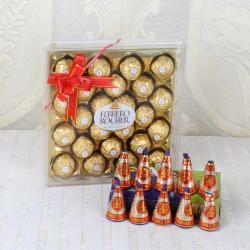 Product Includes: 4 Earthen Diyas along with 24 Pc Ferrero Rocher Chocolates (Note: Product Design and Color May Vary). 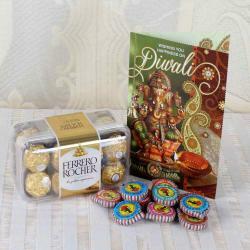 Diwali is a major festival in Hindu community and it is celebrated with great joy and enthusiasm. 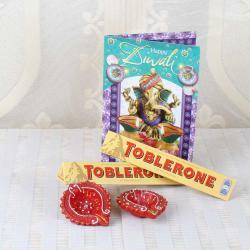 Send these awesome gifts to your dear ones which contain marvelous items for Diwali celebration. This incredible hamper is bound to deliver joy and fun. 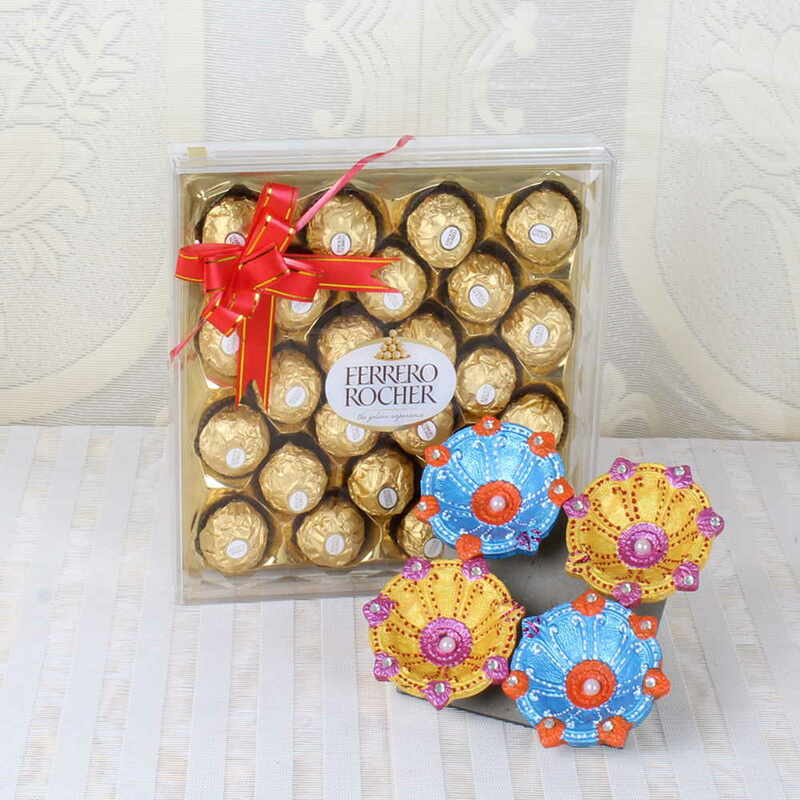 For those people who always send gifts at the last moment, we have Diwali Same Day Delivery option available for them with no additional charges. 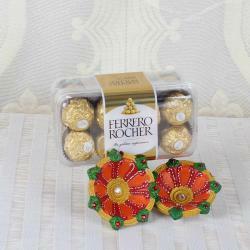 Product Includes: 4 Earthen Diyas along with 24 Pc Ferrero Rocher Chocolates (Note: Product Design and Color May Vary).